Set in a quiet and green garden, the Conifer Lodge Cattery is located in Stanmore, almost local for cat owners in Kenton, Edgeware or Wealdstone. The cattery is heated and accommodation consists of individual units with their own sleeping and exercise area. 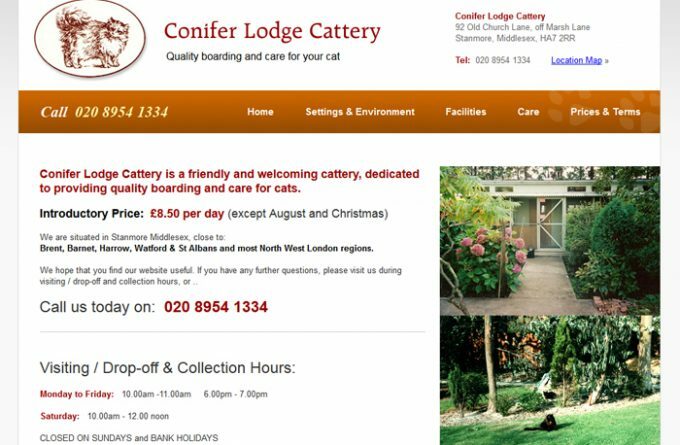 For more information about Conifer Lodge Cattery, you can visit them in person, visit their website, telephone or send them an email (if available) using the form below.